Welcome to another installment of If My Book, the Monkeybicycle feature in which authors shed light on their recently released books by comparing them to weird things. 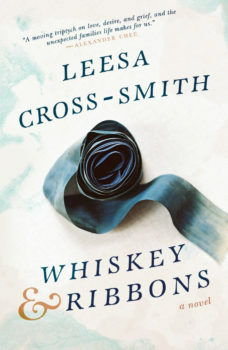 This week Leesa Cross-Smith writes about her debut novel, Whiskey & Ribbons, just published by Hub City Press. If Whiskey & Ribbons were a type of music, it would be yacht rock. If Whiskey & Ribbons were a whiskey, it would be Maker’s Mark. If Whiskey & Ribbons were a state, it would be Kentucky. If Whiskey & Ribbons were your celebrity crush, they would pose for a selfie in which you would both look ruheally good. And they would text you that same picture later and be like it was so nice meeting you today look at how cute we are together! 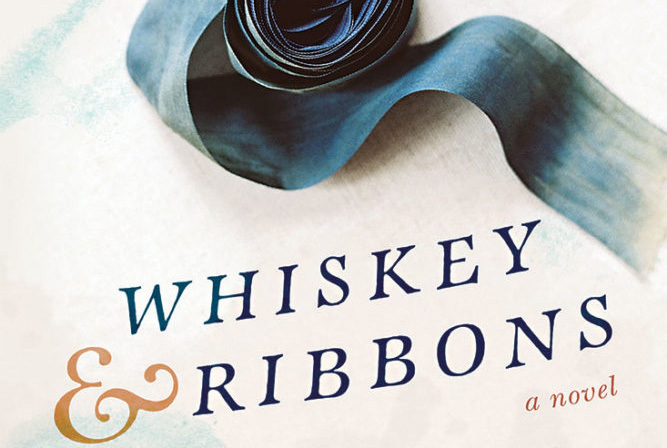 If Whiskey & Ribbons were two colors, they would be pale lavender and rose gold. If Whiskey & Ribbons were to come to your party, they would stay late to help clean up. If Whiskey & Ribbons were a type of weather, it would be snow. A blizzard, even. If Whiskey & Ribbons were a fabric, it would be the bunny-softest flannel you’ve ever felt. If Whiskey & Ribbons were a song, it would be “One More Night” by Phil Collins. If Whiskey & Ribbons were a song, it would be “Chained And Bound” by Otis Redding. If Whiskey & Ribbons were a song, it would be “I Only Have Eyes For You” by The Flamingos. If Whiskey & Ribbons were a song, it would be “Re: Stacks” by Bon Iver. If Whiskey & Ribbons were a song, it would be the theme to Twin Peaks. If Whiskey & Ribbons were a song, it would be “Death With Dignity” by Sufjan Stevens. If Whiskey & Ribbons were a song, it would be “Africa” by Toto. If Whiskey & Ribbons were a song, it would be a country song that makes you cry but you listen to it anyway. If Whiskey & Ribbons were a song, it would be that one song that makes you ache for something you didn’t even know you missed. If Whiskey & Ribbons were a tension, it would be pleasant and sexual. If Whiskey & Ribbons were a kiss, they would use the perfect amount of tongue. If Whiskey & Ribbons were in bed with you, it wouldn’t steal the covers. If Whiskey & Ribbons were an article of clothing, it would be expensive, warm wool socks. If Whiskey & Ribbons made you dinner, they would use your grandma’s recipe. Whiskey & Ribbons would let you have the clear gummi bears. Whiskey & Ribbons wouldn’t leave you on read. Whiskey & Ribbons would leave the porch light on for you. Call or text Whiskey & Ribbons when you get home, so Whiskey & Ribbons will know you’re safe. A PEN Open Book Award Nominee, Leesa Cross-Smith has been a finalist for the Flannery O’Connor Award for Short Fiction and Iowa Short Fiction Award. She is the author of the short story collection Every Kiss a War and lives in Louisville, KY. Find out more at leesacrosssmith.com or follow her on Twitter at @leesacrosssmith.